The long-awaited PerfectMind-PayPal integration has arrived! We’re excited to launch new functionality that will allow your students to register for classes, make online purchases and checkout with PayPal. The checkout process is secured and managed by PayPal allowing purchases with existing PayPal accounts or credit card purchases as a PayPal guest. Setting operational and holiday hours for locations is a breeze if you only have one or two schools. But for franchises with dozens of locations, it can be a tedious task. You now have the ability to enter operational and holiday hours at the organization level for all locations within the same time zone. 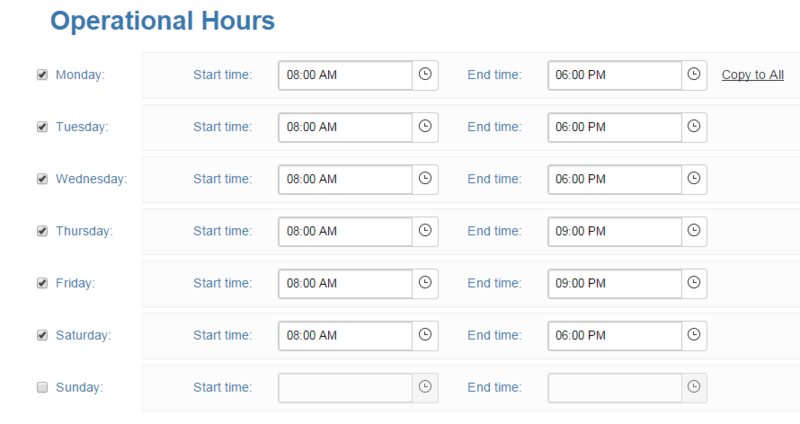 You can also copy the organizational hours over to each location and customize the hours by location. This is a great time-saving feature that can be enabled or disabled. Note that this feature is only available for multi-location schools. In the new POS you now have the ability to choose the effective pay later date to complete transactions and invoices without collecting payment at the time of the sale. Your new student can register and pay now for her taekwondo class and pay for her gui at the end of the month. 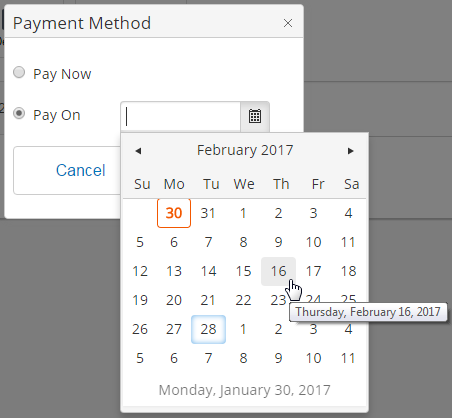 The Pay Later button has been replaced with a Pay On button that allows your staff to choose the effective date and collect payment separately. For situations where a student is unable to attend class for a period of time (ex: injured, on vacation) you can now freeze his membership without changing the payment date. 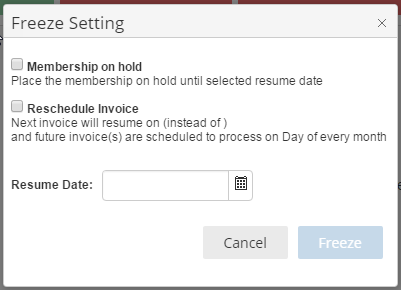 Your staff was able to freeze memberships in the past but we’ve now provided a separate option to put a membership on hold without rescheduling invoices if desired. As an administrator, you now have the ability to grant permission to certain profiles for overbooking a class. You may only want your staff who are supervisor level and above to be able to overbook classes and not your front desk staff. 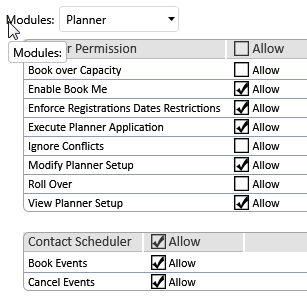 Permission to overbook classes can now be given to specific profiles. As an administrator, you can now grant any staff profile permission to withdraw a student from a class. Previously, edit permission was required to withdraw a student. 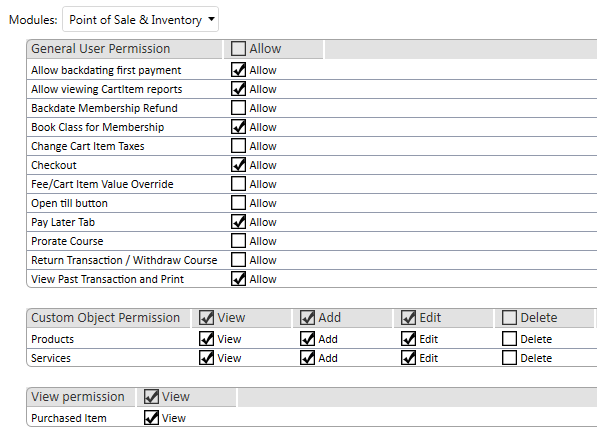 The new permission can be found within the Point of Sale and Inventory settings. As a program coordinator for a multi-location school, you are in charge of planning the courses in all locations and wish to review prices, capacity, age groups and more, in a single view. You can now quickly add/remove columns in the previously static Course List view, so that you are seeing exactly the information you need. Course ID is also now included in the default view. The column layout will not reset until you log out. These layouts will also be used when exporting in PDF or Excel so custom reports and data exports can be created without having to manipulate them in a spreadsheet tool. We’ve received great feedback on the recently-released send-to-sign feature. 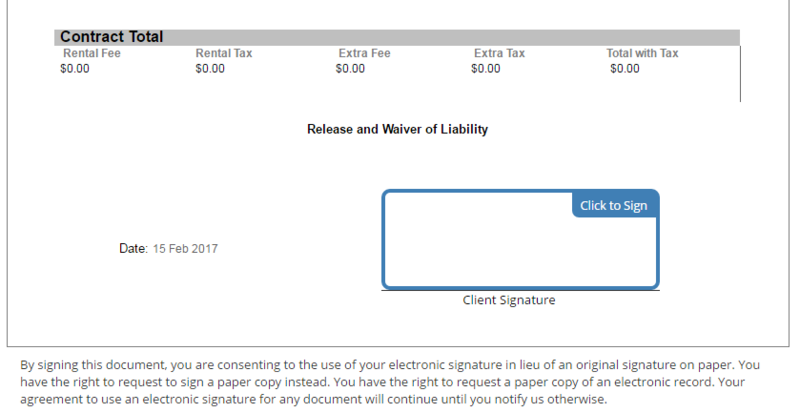 We’ve added new functionality that automatically sends a copy of the signed document to the signee. Johnny’s mother no longer has to request a copy of her liability waiver for her records. A copy of the signed document will be sent to her by email as soon as it is submitted. 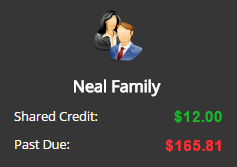 This time-saving feature makes it easier for your staff to see credit available and amounts owing. Previously, viewing shared credit and outstanding balances was only accessible on the client page. Now, staff can quickly check accounts to see remaining credit or past due amounts from the account page, without navigating to individual contact profiles. Custom age groups have been added to the BookMe search feature. 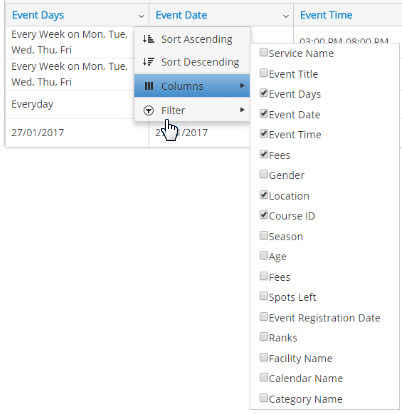 Filter events based on your customized age groups during your specified date range: you can now search for all Youth (ages 13-18) events with at least one occurrence from March 12 to 24.